We met this chap (a friend of the friends I was with) one evening. A ballet dancer with the Helsinki ballet. Looking dapper as you like. 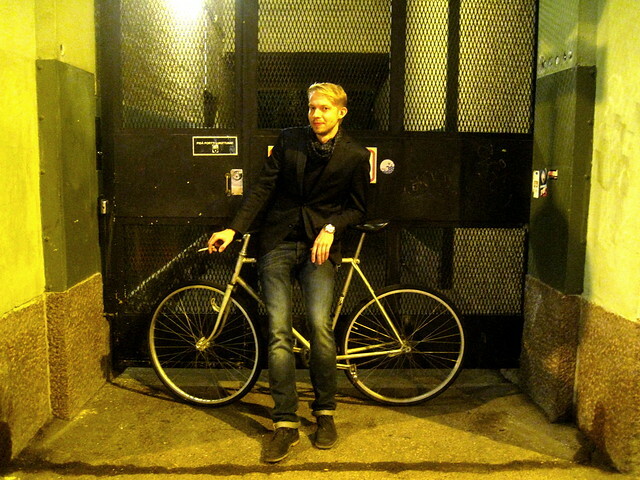 And here's Niko, one of the City of Helsinki's two bicycle planners. I met with them to discuss infrastructure and Helsinki's visions for a more liveable city using bicycle traffic to achieve that goal. 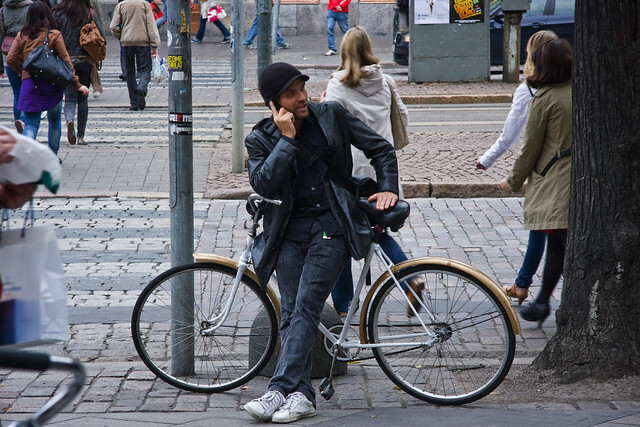 I'm quite sure that if Sydney has a bicycle planner s/he doesn't look as cool as this. They'd be wearing a helmet and fluoro garment for a start. Your pix of Helsinki live up to the image I had of the city from the wonderful Hel Looks blog. People who go their own way with fun and style.